Louisiana Tech University is pleased to partner with CenturyLink to offer a Graduate Certificate in Communications Systems, developed exclusively for CenturyLink employees. This academic telecommunications program consists of 15 semester credit hours (5 courses) and is designed for those with general responsibilities and interests in telecommunications engineering, information technology, or information systems. This program is offered online and in the evenings at CenturyLink headquarters in Monroe, LA, in order to serve full-time employees. The class presentations are captured and posted for students’ use after the class or in case their work schedule requires them to miss class. The class capture technology also enables the class to be taken by students in other locations. 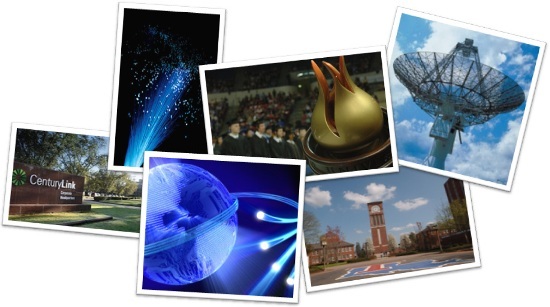 Students who complete the Graduate Certificate in Communications Systems may consider applying to one of Tech's Master's or doctoral degree programs, including the MBA program offered by the College of Business at Louisiana Tech or to the M.S. in Engineering and Technology and Management or the M.S. in Engineering offered by the College of Engineering and Science at Louisiana Tech (depending on the student’s undergraduate background and career goals).